Hey guys! Today I'm really excited to introduce you to our guest poster today, Alyson Schroll. Alyson Schroll is a hater of poetry turned poet and impatient brainstormer turned novelist. She teaches Creative Writing to elementary school homeschoolers, and she has contributed to popular teen writing blog, Go Teen Writers. 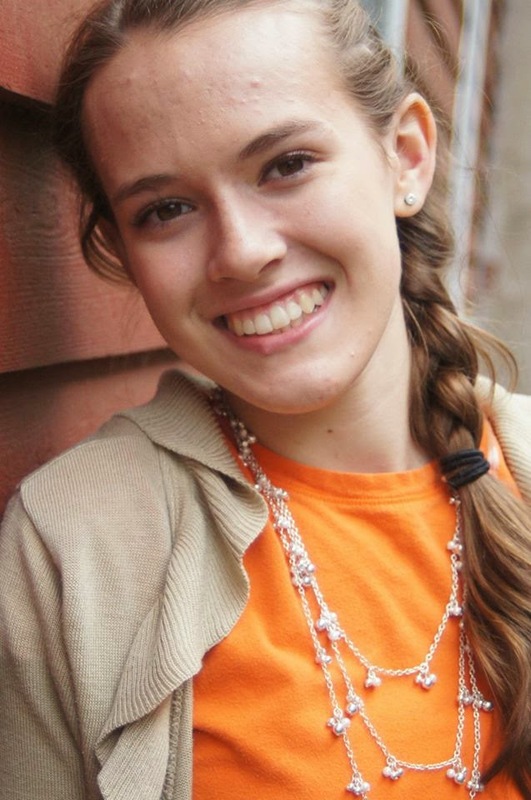 Alyson enjoys bookstore cafes, lessons from C. S. Lewis, and books with fascinating imagery. Check out her blog at alysonschroll.blogspot.com. I walked into my first writer’s conference a five-foot-one fifteen year old with braces on her teeth. This presented an interesting first impression which then led to a platform I could use to show why I deserved to be published. We cannot control how people respond to us being young, but we can control how prepared we are, how professional we look, and how we present our story. Attending a writer’s conference can be the catalyst that turns you from an unpublished teenager into a published author. You will be noticed. This can be good or bad depending on the work you put into it beforehand. As far as the conference goes, be responsible and have all your paperwork and payments completed. You do not want to miss time in classes because you are lost or have to fix a problem with your appointments. Do your homework and know all about the people you are meeting with. If you list ten people for possible appointments, you should be familiar with all of them, not just the ones on the top of your list. This takes time, but it is worth it. · A few copies of your first three chapters. Put them neatly in a folder and have your title, name, and contact information on the folder itself. I printed mine on mailing labels to make it neater. · Plenty of business cards. These should be clean and concise, but make sure they have your name, title, pitch, e-mail and blog link if you have one. Keep these in a place where you can easily get them, like a pocket. You do not want to dig into your bag each time. Hand these to other writers and not just editors and agents. You might pick up a few new blog readers along the way. · Note taking materials. A laptop can be helpful, but paper and pen works well too. Handouts may or may not be there so be prepared in case there are none. As a teenager, you can do little things to put off the unprofessional stereotype. Put your phone away and wear a watch instead. Be extra polite, smile and hold the door for others. When you are eating with others, offer to take their trash. Be the first person to start up a conversation. These things go a long way toward appearing professional. When I work in my dad’s law office, professional means skirt and nice shirt. So that is what I wore to the conference the first day. Not many people were in a skirt, however. Many were in dress pants, and some were in jeans or shorts. But I decided to maintain the bar I had set for myself and stick with the dress I had chosen. I encourage you, especially as a teenager, to dress more professionally than you think is necessary. If you wear pants, choose a nice shirt and shoes to go with it. No matter where you are, in an appointment, in a workshop, eating a meal or just standing in the hallway, carry yourself well. Eye contact means you are comfortable talking to an adult. Sitting with your back straight means you are confident. Speaking slowly and clearly means you care about the conversation. When you listen, it means you care about the person. Being on time shows them that you value their time. Think also about the little things that could lead people to believe that you are too childish to write a book, even though this may not be true. For me, it meant changing my Captain America wallpaper on my laptop to something that was still my personality, but more mature. Remember that agents and editors have to work with you too. If they think that you will be a challenge to work with on a professional level, why would they jump at the chance to represent your book? You know your story better than anyone else because you wrote it, but translating that into a verbal expression is a challenge. You have to be able to share your idea to people so they want to read it without sounding demanding or rude. · You need a focus. Don’t try to cram every great idea you had about your book into a fifteen minute appointment. Without rambling, be able tell why the story is important, where you came up with the idea and why you should be the one to write this book. · Answer the Question. Don’t start talking about a pet you had three years ago when you were asked about your target audience. Be direct and concise. It is okay to ask questions too. Tip: If the editor or agent starts looking away, it probably means you are talking too much. · Give solutions to their suggestions. If an editor has a concern about something in your story, think of ways to fix the problem right then. Tell them how you can work on your story. This shows them that you listen, are willing to learn, and are not too attached to your story. As small as it may seem, this is important. Going to a conference can be scary and intimidating, but when you put the time into your preparation, you do become more confident. If you spent so much time on your book, why wing it at the conference? Be prepared, be professional, present your story well, and your experience will be much more enjoyable and encouraging. Awesome! I will have to keep this post in handy for my first conference. :) Thanks Alyson! I thought it was a really handy post, too! Thanks for reading! Interesting post! I don't think I'll be going to any conferences like this any time soon, but if I ever do, I'll keep these tips in mind. Excellent post! I'll have to come back and reread this post next time I go to a writer's conference. Thanks so much!